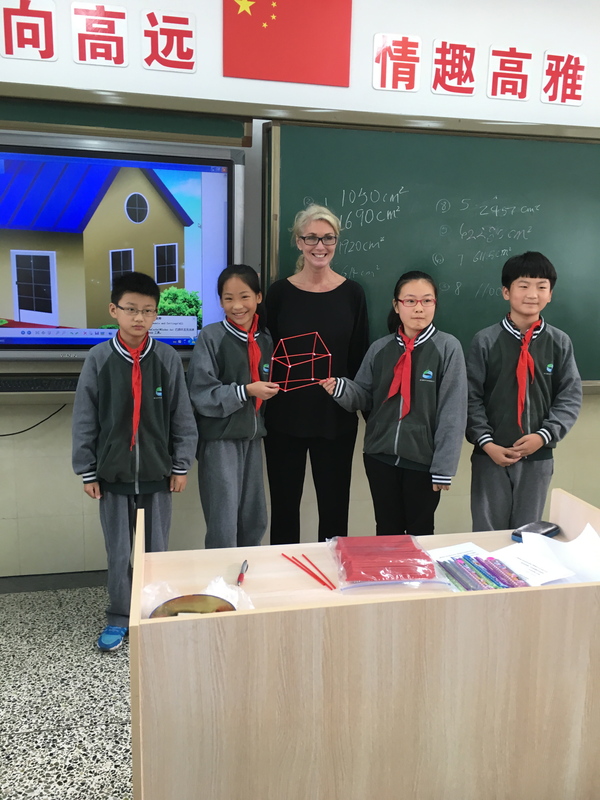 HSE Teacher Takes Integrated STEM Lessons Abroad! Thank you to Sand Creek Elementary 4th grade teacher Holly Miller for graciously agreeing to share her recent experiences as one of ten International STEM Fellows. The instruction that Holly shared in The People’s Republic of China is HSE21 all over! Enjoy! Ten teachers were selected as the first cohort of the International STEM Fellows program. We left October 20th and flew to Beijing. While in Beijing, we toured the Forbidden City, the Great Wall of China, the night markets, and a private elementary school. 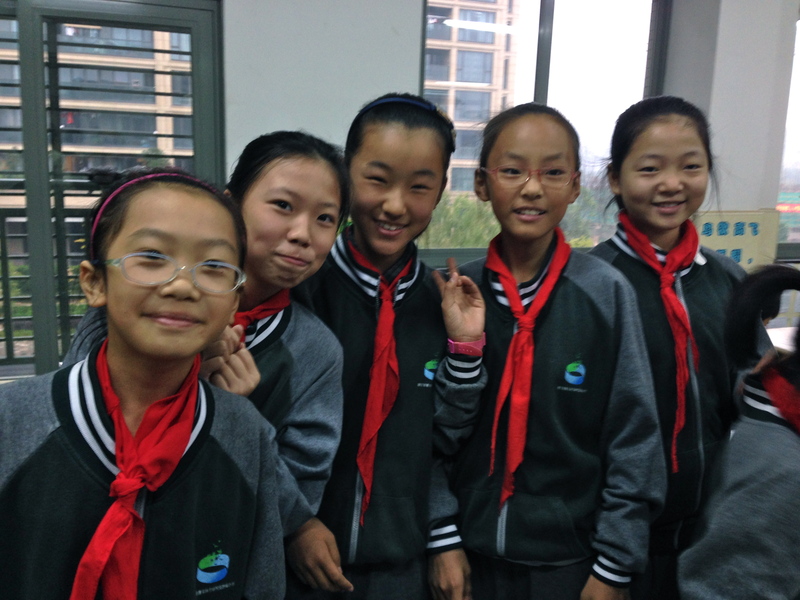 When then flew to Hangzhou, where we spent the week in one of 3 elementary schools. 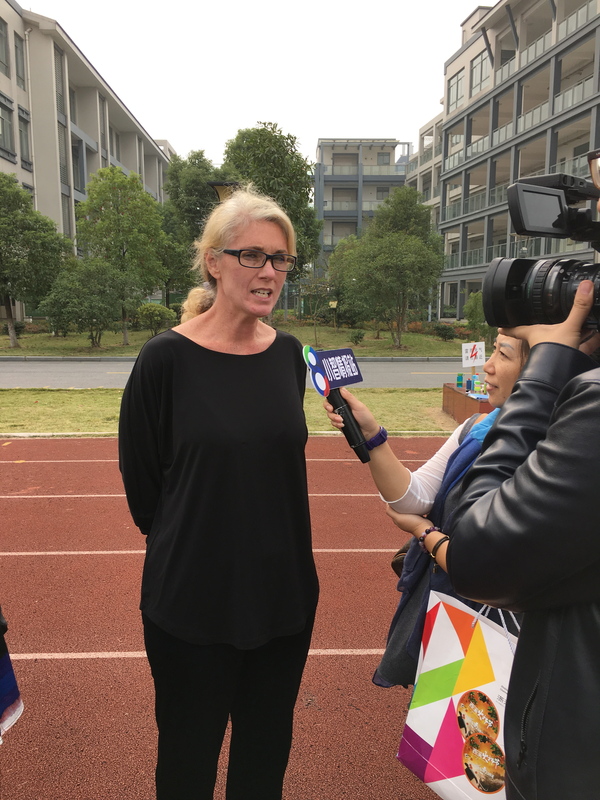 The school my group worked with was called the Primary School affiliated with the Zhejiang Institute of Education Research. Each day, we observed many classrooms– specifically focusing on math and science instruction. Then we would debrief with the teachers and make observations and recommendations about the lessons we had seen. Dr. Enrique Galindo–a math education professor from IU, and Jane Cooney, a math coach for Washington Township, were the other 2 in my group. The other 7 teachers observed in other elementary schools. The best day was when I got to teach an integrated STEM lesson to a group of 6th graders. I had them create a 3-D house and calculate the paintable surface area. The kids loved it and the Chinese teachers did too. They said in our debrief that they were inspired and wanted to try some of the cross-curricular STEM projects in their classrooms! We ended our trip in Shanghai and returned home October 31st. It was a life-changing trip. Some much learned about culture and education and kids! Our next steps are to write a report to the INDOE about ways to improve instruction in Indiana, which we worked on over the weekend. We also worked on a proposal for an International STEM camp for students this summer. 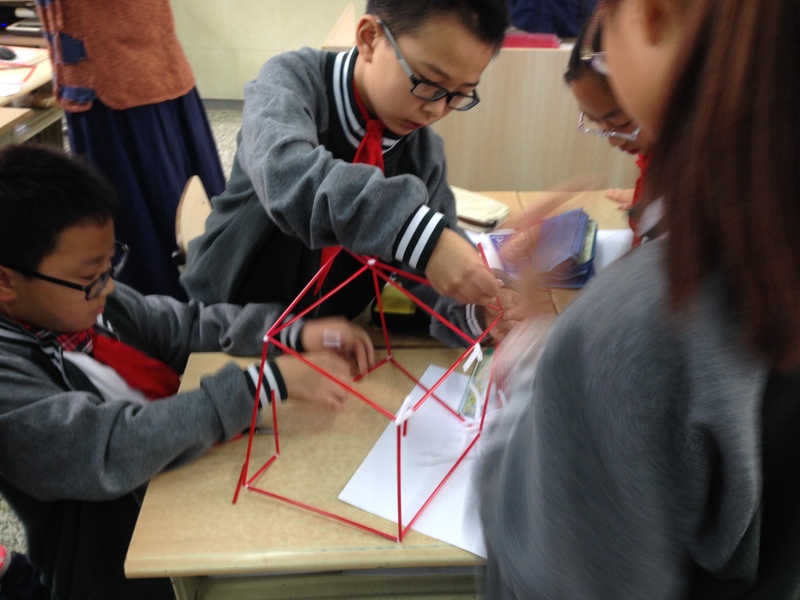 Next year the Chinese government would like to bring 4 times as many teachers over for the STEM Fellows program! I strongly encourage teachers to take advantage of the opportunity–it was AMAZING.